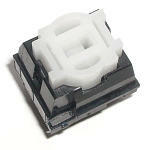 Integrated dome (properly known as “elastic contact”) keyboard switches are the most difficult of Alps switches to find series names for. There is no conclusive list of elastic contact types; the list below shows all types discovered to date. Keyboard codes for both integrated domes and semi-integrated domes have to date all been (S)KE*. However, it appears that Alps eventually ran out of (S)KE* series names, and moved onto SKP*. The only known keyboard type in this latter group is SKPA. In Alps literature, SKE* and SKP* are listed together as one collective group. 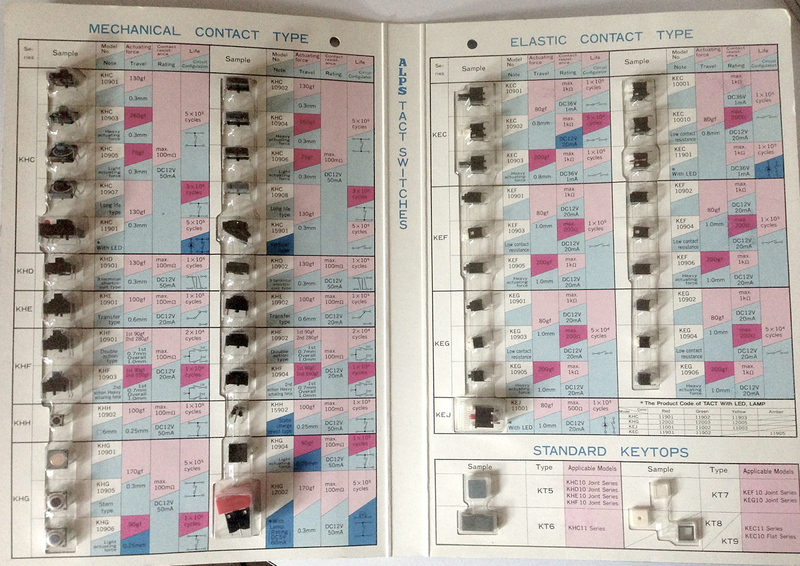 Photos of the keyboard switch types are mine; all other photos are misappropriated stock illustrations. Some types are confirmed to exist, but have no available photos. Older types are assumed to have three-letter series names unless confirmed as being included in the renaming exercise. newer series (SKPA onwards) are assumed to have four-letter series names. 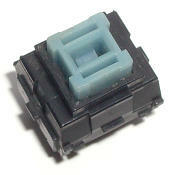 Yes Keyboard switch (Alps keycap mount, plate mount, two-piece shell) Series name is yet to be confirmed. Not all keyboard types have been formally identified. The PCB-mount keyboard types in particular remain fully unidentified. Patents for the enter key stabiliser seen on the Zenith Supersport show that the PCB-mount design goes back as far as August 1985, the filing date of the Japanese patent. The US patent is 4771146. The identity of semi-integrated dome has yet to be determined. Several switches are similar, but not close enough. SKPD has two terminals instead of four, which seems to rule it out. SKEY series is a candidate, but no SKEY types have been sighted with the correct dome shape. Like SKEY, SKEVAA is close, but both types have legs that protrude slightly from the sides of the switch. The switches in the ICL One Per Desk seem to have recessed legs that are covered over by switch. SKEVAA has the recess in the centre of the dome, but it is a much deeper recess than that of the switches in the ICL computer. Parts KED10903 and KEH10903 were used in Roland and Boss music equipment; these series names are only known from the part numbers in Roland and Boss service literature. 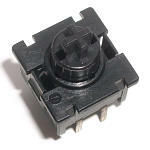 See Alps Tact Switches sample card of unknown date.